wedding crossing, a photo by cordydan on Flickr. 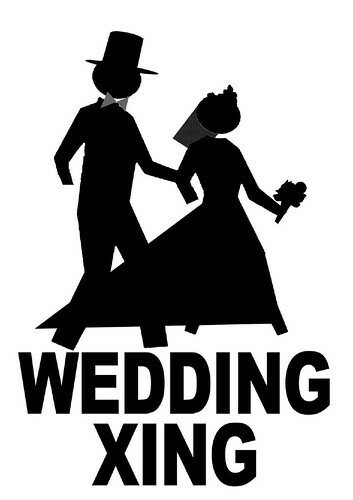 GREAT idea for sign for public weddings - WEDDING XING! Love it! My fiancee and I are getting married on the beach. What that means is we will have to cross a boardwalk frequented by rollerbladers and bike riders. We made this to give them a heads up. If this suits your purposes, feel free to use it!